The dreaded envelope will have dropped on most doormats this month so in this Infomail we are taking a simple and brief look at that delightful publication known as the 'Self Assessment' tax return. You may need to have a strong cup of coffee at the ready! 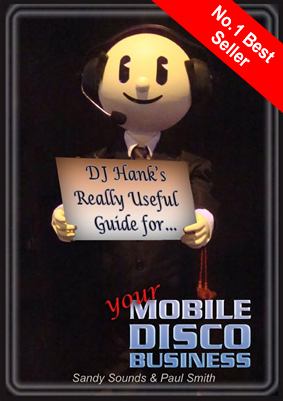 All mobile DJs, whether full or part-time, should be registered as self employed with HMRC and, as such, will need to complete a self assessment tax return. If you're new to self-employment let HMRC know as soon as possible - even if you already fill in a Self Assessment tax return each year. If you don't tell them, you may have to pay a penalty. Registration is quick and painless and can be completed on line (that’s the easy bit!). Wed 2nd May @ 8pm West of Scotland DJ meet-up at Burnhill Bar, Rutherglen, Glasgow - all welcome. "'In this world nothing can be said to be certain, except death and taxes"